Jeff began studying and practicing Yoga in 2012 with Elizabeth McNeil at NTouch. He retired from the Army after 21 years, and wanted to try something new. He fell in love with yoga from the first time he tried it. Jeff is a graduate of Elizabethtown KY’s first 200hr RYT Training at the NTouch School of Yoga and Wellness. He has attended workshop intensives with Ashtanga teacher, Kino Macgregor, and Master Iyengar teacher, Francois Raoult. He is currently in school to be a Licensed Massage Therapist. 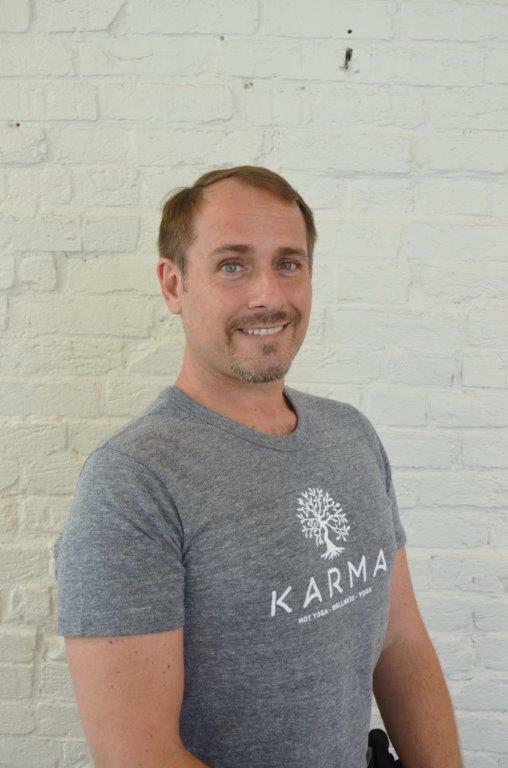 He uses his knowledge of anatomy and the traditions of Yoga to inform his classes, creating classes that are alignment based, challenging and fun. In 2015 he obtained an Associate of Arts Degree.